When living in a double-storey townhouse or apartment, standard staircases fitted off-plan are usually as basic as they get. 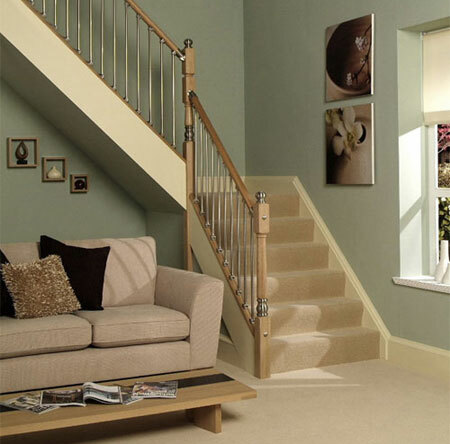 But you don't have to live with standard fitted options when there are so many ways to dress up a staircase. 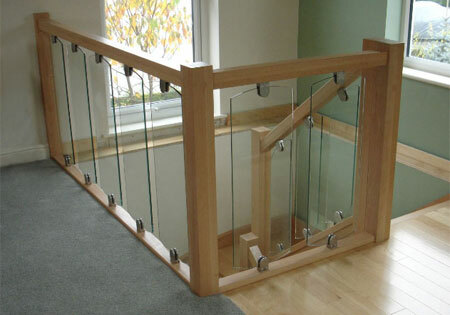 If you are looking for a DIY option to transform a staircase, look no further than pine, meranti or saligna posts and beams, with glass or perspex mounted panels. There is nothing wrong with thinking out of the box for designing a staircase that fits in with your home or your style. work out a budget of what you can afford and go shopping for the required materials and supplies. You will find a large majority of the components required at your local Builders Warehouse. If you need steel or chrome parts for your staircase, you will find plenty of steel merchants on the Internet that will have what you need, or at least know where to source items. If you are thinking about installing a staircase, or updating an existing staircase, the first step is to work out the size and spacing. With a style or design in mind the next step would be to look at materials within a set budget. And finally, is this a DIY project or will you hire a professional contractor to do the job for you? The finally step is to work out the tread size required (otherwise known as the going). The going is the measurement from the face of one riser to the face of the next riser. 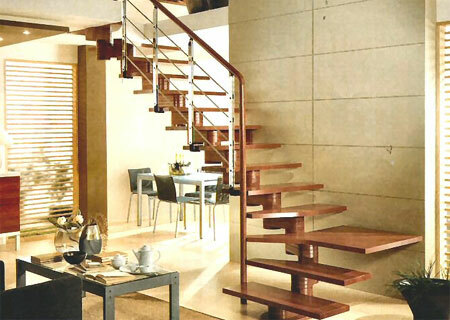 The minimum going for a domestic staircase is 220mm and the pitch of a domestic staircase must not exceed 42-degrees. 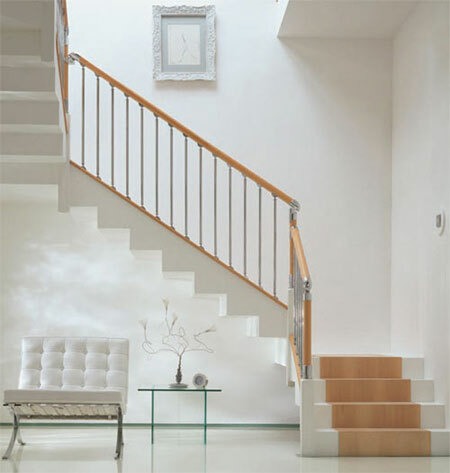 While there is no restriction with how narrow you can go with a staircase, the width of a standard flight of stairs is 860mm, For a main staircase I would suggest trying to maintain a width between 800mm and 900mm. This unique staircase, which is aptly named the Emmental Staircase, is designed by architect Biljana Jovanović. The stairs sit centrally between the living and dining spaces and it was essential to create not only a focus point, but also for the stairs to blend in with the design of a modern apartment. 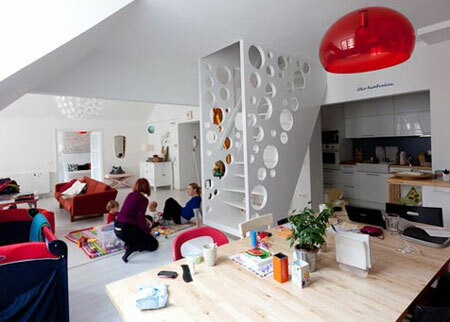 The design also allows for a well-lit space, with the addition of large circular cut outs in the sides.